Set off on a 9-day Uganda safari tour with Safari365 and experience spectacular wildlife sightings and unforgettable interactions with the Uganda gorillas. During your trip you will visit Kibale Forest National Park, Queen Elizabeth National Park, Bwindi Impeneterable Forest National Park and Lake Mburo National Park. Encounter gorilla, chimpanzee, elephant, lion and a myriad of other wildlife! Embark on game drives, explore the Ugandan bush and experience Ugandas captivating natural world. Upon arrival at Entebbe International Airport a Safari 365 travel representative will meet you and and transfer you to your lodge, for the start of your Uganda safari. 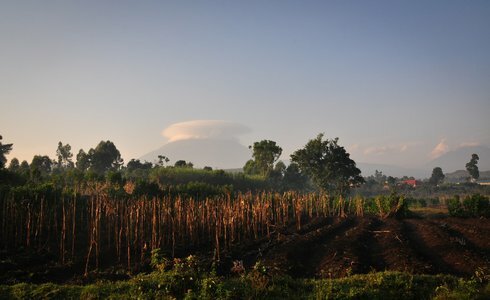 After a hearty breakfast, depart for Fort Portal situated in the northern foothills of the Rwenzori Mountains. 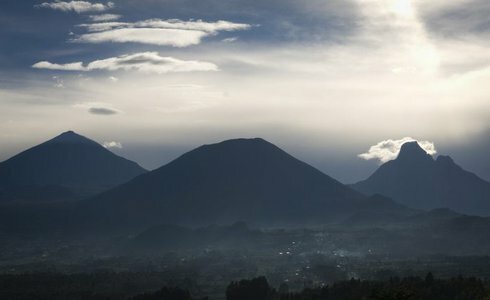 Travel through rolling hillsides and tea plantations with the Rwenzori Mountain range in the background. After arrival, enjoy a lunch in Fort Portal before departing for the Kibale Forest National Park where you will spend two nights. 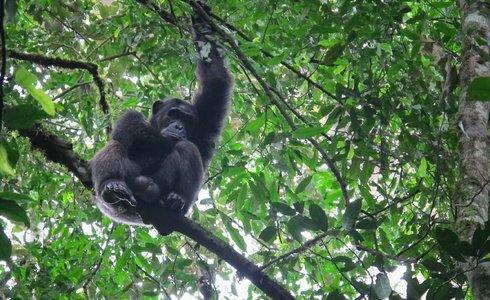 During your time in the Kibale Forest National Park, accompany Kibale researchers and habituators into the forest area as they follow chimpanzee families engrossed in their daily activities. This is done in an effort to gather research on these amazing animals while getting them used to human presence without altering their natural behaviour. You can expect to see the chimps de-nesting (coming out of their nocturnal nests) between 05H30-06H30. Afterwards, follow them during the day until they create new nests and retire for the night. 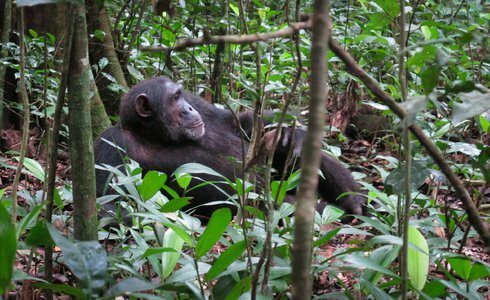 After your chimpanzee habituation experience head back to your chosen safari lodge. After breakfast, depart Kibale Forest at a leisurely pace via the Crater Lakes Area to Kasese Town, the second most populous centre in Western Uganda. On the way to Kasese Town, pass through the little road-side town of Hima. From Kasese, cross the equator as the road passes into the Queen Elizabeth National Park. Uganda Kobs are abundant and it may be possible to observe elephant or buffalo in the distance. Enjoy a game drive in Queen Elizabeth National park en route to the lodge. The next morning enjoy a game drive through the prime game viewing areas of the park. 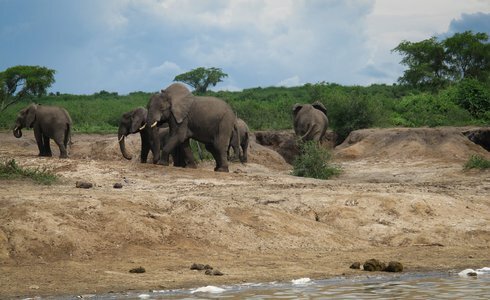 On this Uganda safari enjoy spectacular wildlife sightings of lion, leopard, elephant, and various antelope species. In the late afternoon take a boat cruise along the Kazinga Channel - a prominent feature of the Queen Elizabeth National Park. The channel attracts a varied range of animals and birds and hosts one of the world's largest concentrations of hippos year round. Depart the northern sector of Queen Elizabeth National Park towards the Congolese border town of Ishasha. Before reaching town, enjoy a game drive in the Ishasha plains, where there may be an opportunity to see the tree-climbing lions of the Ishasha region whose males sport black manes -a feature unique to the lions in this area. 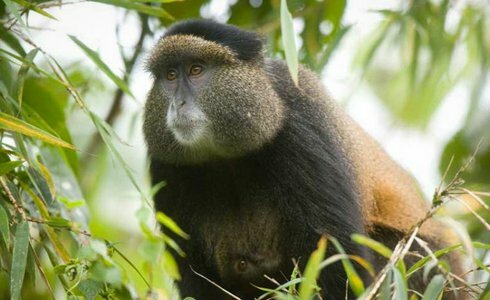 After the game drive, traverse through breathtaking scenery of rolling hills and terraced fields before arriving at Bwindi Impenetrable Forest National Park in anticipation of the gorilla treking adventure. 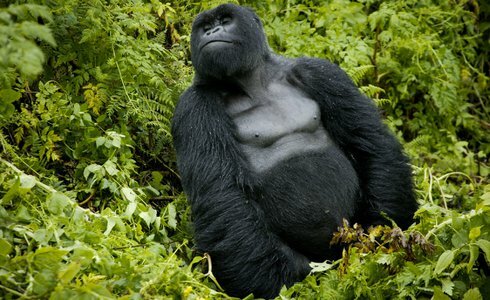 The next day, set off on the Uganda gorilla treking tour in the Bwindi Impenetrable Forest National Park - home to half of the world's mountain gorilla population. While trekking through the tropical rainforest with the knowledgeable guide, enjoy close-up encounters with the mountain gorillas in their natural habitat. 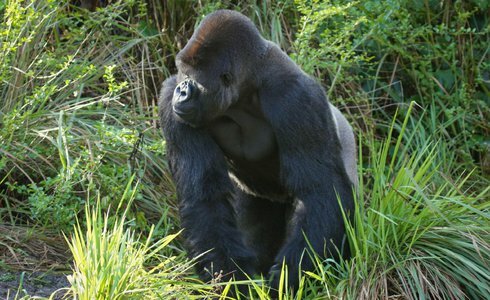 Uganda gorilla tracking is a captivating and unforgettable experience; an altogether memorable activity. Leaving the gentle giants of Bwindi behind, depart (with packed lunch) towards the vibrant town of Mbarara -the largest urban centre in Western Uganda and centre of the former Ankole Kingdom. After Mbarara head towards the entrance gate of the Lake Mburo National Park, where herds of Ankole cattle can be seen. While exploring the National Park, enjoy spectacular wildlife sightings of zebra, impala, eland, topi, buffalo, roan, leopard, hyena and jackal. After check in at the lodge, set off on a boat trip spotting hippo and crocodile, along with over 300 species of bird along the shores of Lake Mburo. This morning enjoy a bush/game walk, culminating with a visit to a natural salt lick frequented by wildlife. In the course of the morning depart (with packed lunch) towards Kampala, passing through a small settlement known for its Buganda Royal drum-makers and through a patch of the medium-altitude Mpanga Rainforest. 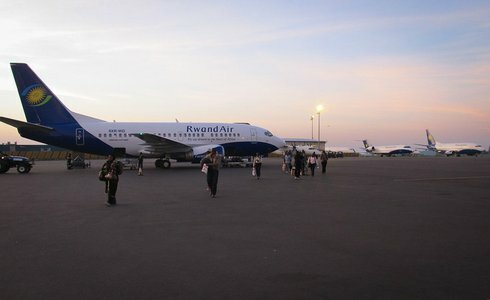 Upon arrival in Kampala, transfer to the Entebbe International Airport and continue with your onward travels.